Do you ever feel a little bit guilty while indulging in a gooey chocolate chip cookie? I know I do. Of course, we all need cheat days, but wouldn’t it be easier to enjoy a cookie without making it a cheat day? I have the recipe for you! 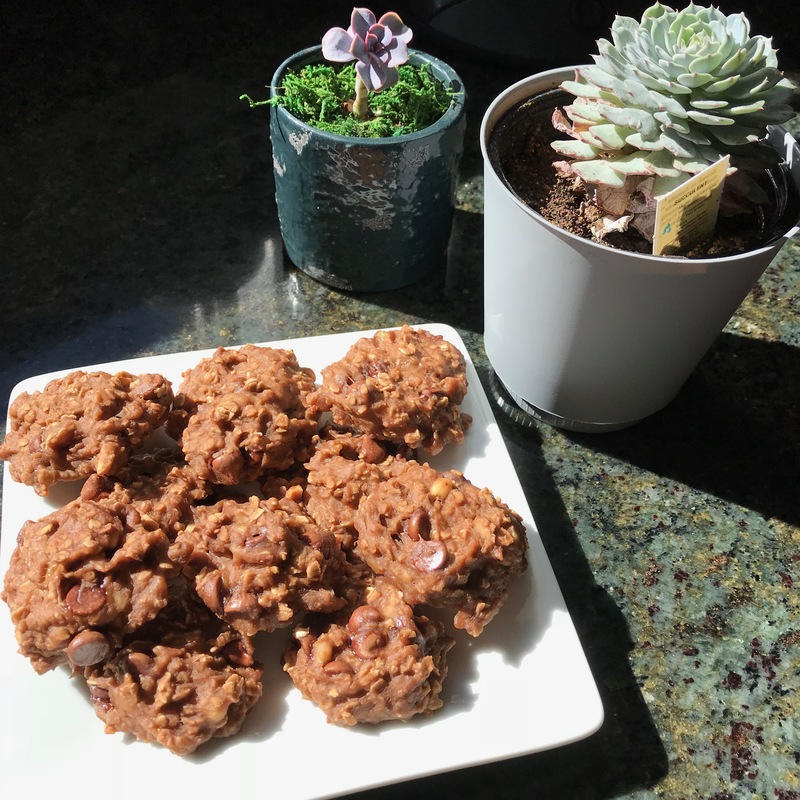 While hunting around on Pinterest, I was inspired by many different recipes for healthy (yet delicious) cookies. I decided to get creative and now I want to share! Lately, I have really been into baking and finding unique ways to eat healthily. First off, I think bananas are amazing. I love them. They have a natural sweetness to them that you can’t find anywhere else. There are so many yummy treats you can make with bananas! I’m certainly not a nutritionist, but I know a banana has countless health benefits. They are great for your heart, loaded with fiber, and make an excellent sweet treat. It’s a win win win. 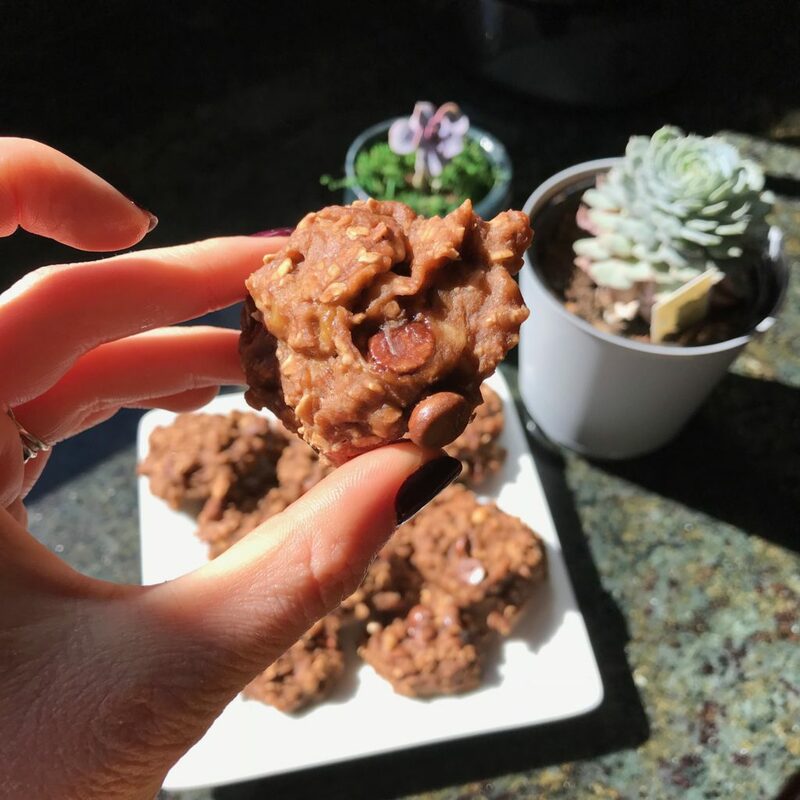 These cookies are loaded with protein and are the perfect post or pre-workout snack & this recipe requires only 5 ingredients (less or more depending on how you want to make it your own) and only takes 15 minutes to make! I am not very particular about measurements…I am a pretty free-spirited person, therefore I just throw things in until it tastes yummy. I encourage you to throw in your ingredients based on what you think is needed! I hope you enjoy! Also, for the lovely vegans out there, if you swap out the chocolate chips and protein powder in the ingredients list for vegan-friendly chocolate chips and protein powder you are all set! This can be easily made into a plant-based sweet treat! 1 big spoon scoop crunchy (or smooth…whatever you are feeling) peanut butter…AND THAT’S ALL! Scoop dough and shape them roughly 2 inches in diameter. Don’t shape them into balls like normal cookies. When they bake, they will not spread out or change shape at all. The way you form them on the pan is exactly the way they will bake. Put in oven for 10-11 mins.